Guess what? My very first eBook is now available! 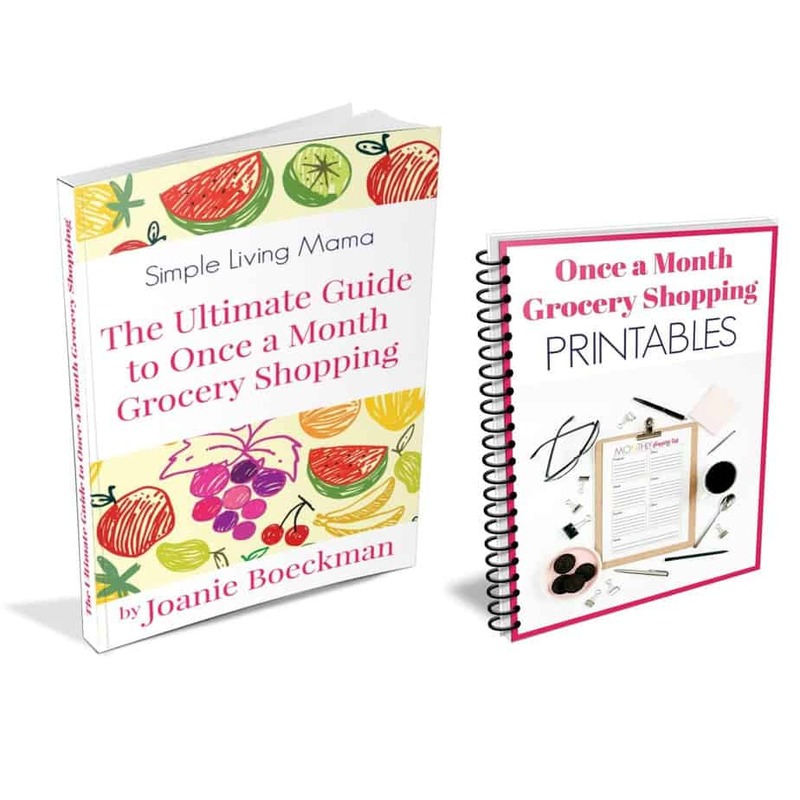 The Ultimate Guide to Once A Month Grocery Shopping will teach you how to shop for most of your groceries once a month saving you time and money! My husband and I have been practicing once-a-month grocery shopping for about two years, and I absolutely love it. There is nothing like having a monthly meal plan and all of the ingredients you need to pull off that meal plan. It saves us both time and money! 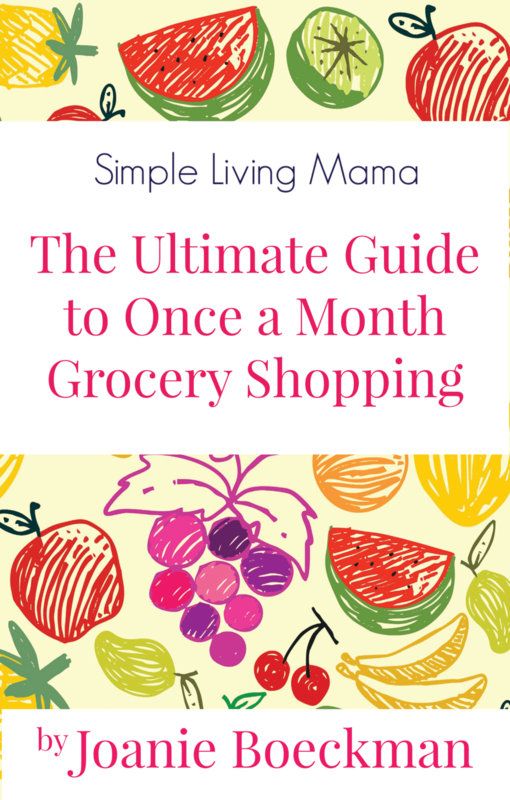 What will you learn in The Ultimate Guide to Once-A-Month Grocery Shopping? Shopping Day! How to Pull It Off. The Ultimate Guide to Once a Month Grocery Shopping has now been updated! New, pretty printables are included to help you plan your first shopping trip. If you try once-a-month grocery shopping, I would love to hear how it works for you! Leave me a comment below and we’ll chat! I used to feel like most of my time was at the store in the beginning of my marriage….6 months into it and now I only go twice a month! I would love this! I really need to read this book because I sometimes end up going grocery shopping twice a week. It’s so bad! What an interesting idea. I think the biggest issue for us would be SPACE. We only have one fridge and no deep freezer for extra storage. I can hardly find room for two weeks’ worth of groceries! Yes, it is helpful to have an extra refrigerator or a deep freezer. Such a great idea! If I could be more consistent about meal planning, I wouldn’t have to go to the store as often – but I can’t imagine how I would store everything. We do have an extra refrigerator, so that helps. I have to get creative with storing the other bulk goods! This is a great idea. Do you ever stop in for a few fresh fruits and veggies? I think this would definitely save money and be great for when you are a new mom too. Yes. About halfway through the month we stock up on fresh produce and dairy.